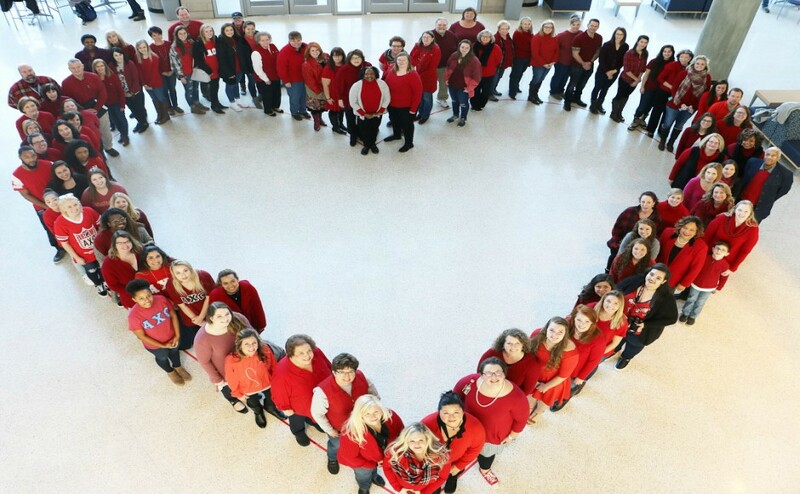 MTSU students, alumni and faculty sported their red shirts on Friday for Wear Red Day, a national event that brings awareness to women’s heart health. The observance of Wear Red Day is a nationwide kick-off to American Heart Month, a month which is dedicated to bringing awareness to heart health in the U.S.
MTSU’s Student Health Services hosted its fourth annual event for Wear Red Day in the Science Building atrium from 9 a.m. to 12 p.m. 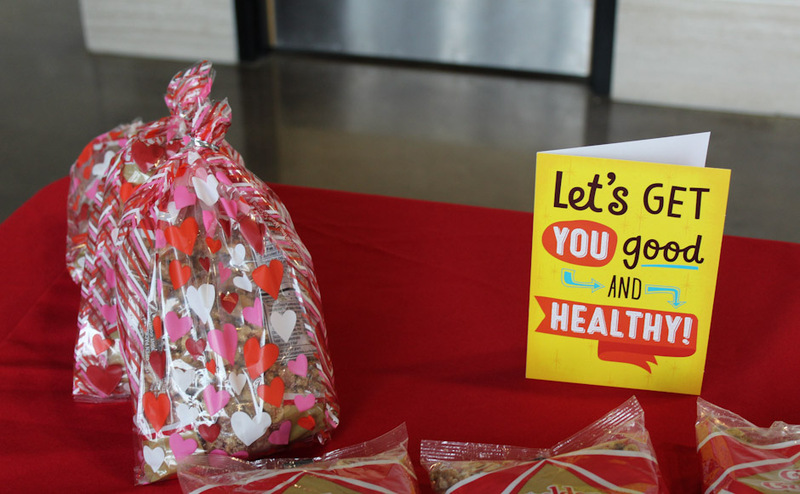 The event featured heart-healthy snacks and educational games as well as posters featuring women who were being honored for the day. The posters were an effort to recognize those in the campus community that have been affected by heart disease or conditions, according to Lisa Schrader, the director of MTSU Health Promotion, who also helped organize the event. “It’s an opportunity to recognize that heart health conditions in women can look a little bit different than they do in men,” Schrader said. Heart disease is the leading cause of death in both men and women in the U.S., but symptoms and signs of the disease can vary between the genders. The differences in heart health between men and women have become a recent topic of intense scrutiny in the medical community. Students also joined in on the heart-health awareness, like seniors Kristina Mcclanahan and Katlin Deffendall, who intern in the Health Promotion department on campus. The pair helped host some educational games for the event, including “Label the Heart” and “Heart Jeopardy.” They both volunteered to help with the event as they recognize the importance in raising awareness for heart health. “It’s something you can prevent, if you know about it,” Deffendall said. For more news, follow us at www.mtsusidelines.com or on Facebook at MTSU Sidelines and on Twitter at @Sidelines_News.